It’s a disease that causes bones to become more fragile and more likely to break. A bone density test determines if you have osteoporosis. 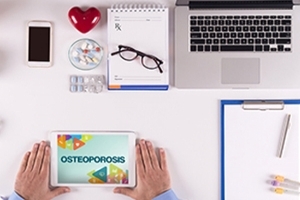 Who can suffer from Osteoporosis? How to prepare for test? What you can expect during bone density test? What to do after a bone densitometry scan? Generally, you can resume usual activities immediately after your bone scan. The results of the scan should be available to your doctor within 24 hours after the test. Your doctor will discuss the test results with you.